Swing the racquet around a tennis court. 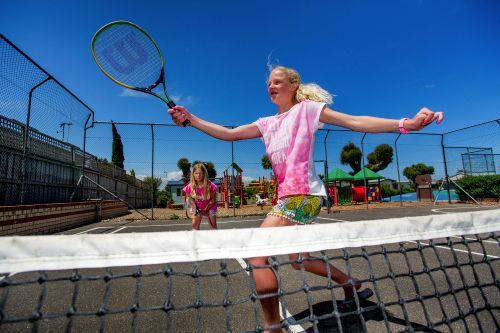 Our half sized tennis court is located adjacent to the basketball court. It has been homage to some intense rallies and competitions between family members over the years. There have been many shrieks of delight and yelps of disappointment as the heat of competition reached its peak. 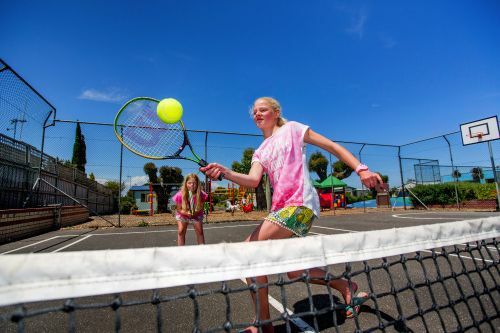 Tennis racquets are available for hire ($1) from reception or bring your own.